"TEKNOSAB represents the vision of Turkey"
The Future of Bursa will be better! President Erdoğan: TEKNOSAB represents the vision of Turkey. President Erdoğan said that TEKNOSAB would contribute to the economy of Turkey up to 100 quadrillion and offer business opportunities for almost 150.000 people. 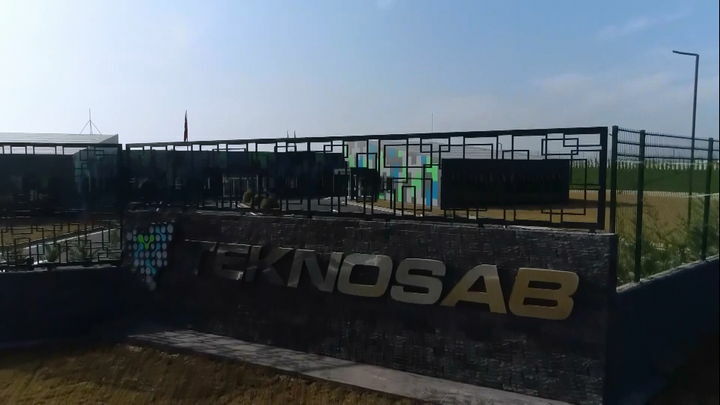 The meeting of TEKNOSAB project that makes Bursa be a symbol for transition to high-tech production was conducted at the building site located in Karacabey district for the frst time. Draft Law on the Amendment of Some Laws and Decrees on the promotion of industrial development and support of production was passed into law by the Grand National Assembly of Turkey. Mr. Remzi Topuk, Head of the assembly; welcomed Mr. Mustaga Tecdelioğlu, President of Industrialist and Businessmen Association of Fasteners and his associated committee. BTSO Shows That Objectives of Turkey for 2023 is not a dream with its projects. Mr. Mehmet Şimşek, Deputy Prime Minister; participated in “the 45th Common Mind and Consultation Meeting” organized by Bursa Chamber of Commerce and Industry (BTSO). “TEKNOSAB: The Project With Strong Vision” Bursa Chamber of Commerce and Industry (BTSO) signed a cooperation protocol with the Birmingham Chamber of Commerce. Bursa Chamber of Commerce and Industry (BTSO) brought together Mr. Faruk Özlü, Minister of Science, Industry and Technology with the representaties of Bursa business world. Mrs. Maria J. Andrews, Commercial Ataché of USA Consulate General in Istanbul said that Bursa increases its level of high technology and value added producton in every passing day. Minister Özlü investigated TEKNOSAB on site. You will always support you for TEKNOSAB Project. TEKNOSAB will be at the fore of industrial revolution! TEKNOSAB will make a huge contribution on export values of the country! I agree to send e-mail for informational purposes.